I think the graphics are a massive improvement on the Windows version, but it does mean each scenario can only be played on one of the pre-rendered backgrounds that will come with the game, rather than being created on the fly (which gave an infinite numer of scenarios). The biggest difference for the infantry in the game now is that they can make use of trenches/ditches and low folds in the ground as they can be at any stance, whereas in the WIndows version they can only be prone or fully standing - nothing in between. It means that infantry can hide in trenches and just pop up and take a shot and then duck down again. I think this is going to make the game much less of a kill-fest and much more tactical as it will be very hard to prise an enemy unit out from a defensible position. You'll need to outflank them or put down a lot of fire to suppress them. I'm modelling more things too, like each man's heart rate and lactic acid level so they can't sprint around everywhere all day. Infantry have historically accurate magazine sizes in their weapons too now so they take time to swap magazines when they run out. Sounds great! Please bring those changes to the Windows version as well. You could even sell that as a DLC. This game still is the only competitor to the Close Combat series (apart from Armored Brigade, which is freeware). You really need to build on that and give it a bigger audience. Since all Matrix CC games are pretty overpriced, you could build on that by offering an alternative. You should also try to get this game on different distribution platforms, like Steam, Desura etc. There's hardly any competition for it there. You should exploit that. Yes, I'd really like to port it to Windows and that really won't be very hard with the way I write games these days. I'll look into getting it on the Windows App Store - which unfortunately is only available to Windows 8. That way I can charge a really low price for it like iPhone/iPad games are, as the purchasing system is so much easier than taking people's credit card details for each order. Wow, I am really impressed! That looks just spectacular, and sounds fascinating. Upping the variables, and creating greater differentiation of troops & behaviors is a great thing. Now just tell me you were able to make some tweaks on the armor side of the game! Any progress on eliminating the 'freeze up' factor that happens once two tanks/guns see each other and fail to kill one another after x number of shots? How about a change so that halftracks will scurry in retreat for cover instead of come to a dead stop once in the sight range of an enemy ATG or tank? Maybe giving the troops a few anti-tank mines/grenades to disable the Invincible Halftrack of Doom strategy? Most of all, I am really glad to see the game getting some love! It's still a beauty, and I can't wait to play the new version! Sean O'Connor wrote: Yes, I'd really like to port it to Windows and that really won't be very hard with the way I write games these days. I'll look into getting it on the Windows App Store - which unfortunately is only available to Windows 8. That way I can charge a really low price for it like iPhone/iPad games are, as the purchasing system is so much easier than taking people's credit card details for each order. Hope it'll not only be available there, because I won't switch to Win 8. I simply don't like it's user interface, and I don't see it's use if you don't have a Touchscreen. I think this tiles interface is ugly and pretty confusing if you're using a mouse. I agree. The fact that there is no start button would be a total different user experience. Nice work though. Knut wrote: Now just tell me you were able to make some tweaks on the armor side of the game! Any progress on eliminating the 'freeze up' factor that happens once two tanks/guns see each other and fail to kill one another after x number of shots? How about a change so that halftracks will scurry in retreat for cover instead of come to a dead stop once in the sight range of an enemy ATG or tank? Maybe giving the troops a few anti-tank mines/grenades to disable the Invincible Halftrack of Doom strategy? Yes, that tank freezing up bug is effectively fixed now! What was happening was that two tanks would spot each other but there was a low hill in between so they could only see each other's turrets. Each time they didn't score a hit on their enemy they would adjust their fire to shoot more accurately at the centre of their opponent - but a perfectly accurate shot aimed at the centre of their opponent would hit that intervening hill, so they'd just keep blasting away at the hill. I found the same thing happening with the new AI when enemy infantry were in a trench and only their heads were showing - a perfectly accurate shot aimed at their midpoint would slam into the dirt way in front of them. What I do now is first calculate if an object can see an enemy object and then find out how far down that enemy is visible. The shooter then aims at half way down that point. So, shooters aim at the nose of an enemy who is only showing his face in a trench, and a tank would now shoot at the centre of an enemy's turret if that's all that is visible. I'll do some more work on Halftracks for this version. They were a late addition to the Windows version and they never really got their own AI, but just used the tank AI. spillblood wrote: Hope it'll not only be available there, because I won't switch to Win 8. I simply don't like it's user interface, and I don't see it's use if you don't have a Touchscreen. I think this tiles interface is ugly and pretty confusing if you're using a mouse. I'll see what I can do, but the big attraction for me is that it's so convenient using App Stores rather than trying to sell games through sites like Plimus. I haven't looked into it much yet but there's a newish accelerated Windows graphics library called Direct2D which I'll probably use. It's built into Vista, Windows 7 and Windows 8 (so not XP). I'm hoping I can write one .exe file using that which will work on all those versions of Windows and be allowable on the Windows App Store too, so I can sell the game both ways. I just wish MS had made the App Store available to Vista and Windows 7 too! I plan on getting a Windows tablet, so a new version through the App store would be okay. I just have a slight concern about the map rendering you mentioned for the iPad. As far as the preset scenarios are concerned, only having pre-rendered maps kind of makes sense. The Battle of Kursk took place in a particular area. Randomized maps for that would be less accurate. But, having rendered-on-the-fly for custom games is something that is very useful for replay-ability, and would be a great loss to a new version. If you're porting to Windows App, such that it would run on the RT OS, I'm not sure what kind of limitations that would bring you. I hope, even if iOS doesn't allow for randomized maps, that if it is possible in Windows App - you can add it. Though, now, as I'm thinking of it, you mentioned better graphics in the iPad version, and perhaps those are the limitation to map rendering and not the iOS. Corpsdog wrote: Though, now, as I'm thinking of it, you mentioned better graphics in the iPad version, and perhaps those are the limitation to map rendering and not the iOS. Yes, it's not an issue to do with the OS it's purely down to having more photo-realistic and naturalistic maps. I thought I made a pretty good go of getting the Windows version to make random maps but I still think they are all a bit samey. If we design them by hand they can be much more interesting and look much better too. The fields in Windows FF are all made of a simple texture but on iOS the hand drawn ones can have rough patches and track marks running across them etc... We can also have much more interesting urban environments which the Windows version never could do. When I come to do the new Windows 8 version I'll probably include the map maker program I've written so people could make their own scenarios. You'd need to get hold of some nice looking backgrounds for the fields you'd want to use but once you've built up a 3072x3072 background image (it may end up being 4096x4096) then you could use my utility to add the buildings, hedges, objects etc... needed for the game. 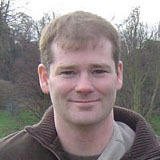 Sean OConnor wrote: When I come to do the new Windows 8 version I'll probably include the map maker program I've written so people could make their own scenarios. You'd need to get hold of some nice looking backgrounds for the fields you'd want to use but once you've built up a 3072x3072 background image (it may end up being 4096x4096) then you could use my utility to add the buildings, hedges, objects etc... needed for the game. Very excited about this, especially if it becomes possible to generate maps from publicly available survey data and Google Earth (like in Panzer Command Ostfront). I have often considered using Firefight as a military training tool (I work in the New Zealand Army's Mission Command Training School) but its inability to create real-world maps was always one major obstacle. It should be quite easy for me to make a future Windows version have customisable maps but it's trickier doing that for iPads. The new version is sooo much more sophisticated and realistic than the current Windows one that when you see it you'll really not want to use the old Windows version as a training tool! Very easy to use. You can have someone who's never seen FF playing it competently in five minutes. Straightforward victory conditions and performance report. Most important: Inability to select and deploy enemy forces. Moderately important: Inability to model real world maps (previously discussed). Less important: Lack of after-action replay. To clarify, I'd never considered it seriously as a training tool because of the above cons but I could certainly imagine several uses for it if at least the first two were ever addressed. Whatever, I'm looking forward to the new version. Are you considering Android as well? Any chances for an Android version? iPads are rather overpriced. Sean OConnor wrote: I'll see what I can do, but the big attraction for me is that it's so convenient using App Stores rather than trying to sell games through sites like Plimus. I haven't looked into it much yet but there's a newish accelerated Windows graphics library called Direct2D which I'll probably use. It's built into Vista, Windows 7 and Windows 8 (so not XP). I'm hoping I can write one .exe file using that which will work on all those versions of Windows and be allowable on the Windows App Store too, so I can sell the game both ways. Apps Store also has a downside of preventing users of other operation systems from buying the game and running it on Wine. Since I'm pretty excited about this, why don't you record a demo game and post it on youtube? Could you even do that? ! 'd watch it!